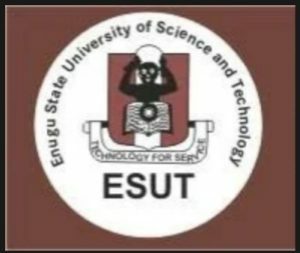 all aspirant of Enugu state university of science and technology who chose the institution as their preferred choice should get ready as the date of the post UTME screening exercise and sale of form soon be concluded. Applicants must have at least 5 credits pass in any of the O level results of which use of english language should be among. The 2019/2020 ESUT timetable is not yet out, but once it is out we are going to update you immediately. just keep checking for more update. once the next page opens you have to input all details so as to generate an invoice. once you generate the invoice rush to any commercial bank and pay the sum of 2,000.
or you can pay up online with your debit card. once you have paid, then return back to the registration portal and input your “JAMB Registration Number”. input your e transact pin you got from bank. once the form loads input your bio data correctly before you finally submit. Note : don’t fail to print your acknowledgement slip. you are to come to the screening venue with your acknowledgement slip and also make sure your passport is very clear. while coming to the exam hall come with your jamb slip. don’t come along with your bags. adhere to all institution carefully. the 2019/2020 ESUT post utme screening exercise schedule to hold around September 2019 is not yet out once it’s out we shall let you know.